My colleagues from the department where I put in 33 years of service Sh. Mahendra Ranga and Ashutosh Baranwal (both Commissioners in the Central Board of indirect Taxes),o n getting to know that I am in Ludhiana (known as Manchester of India) advised me to visit the campus of Punjab Agriculture University(P A U ), Ludhaian as it has Peacock the bird which is dear to my heart . I agreed and thought of visiting the campus in the morning. 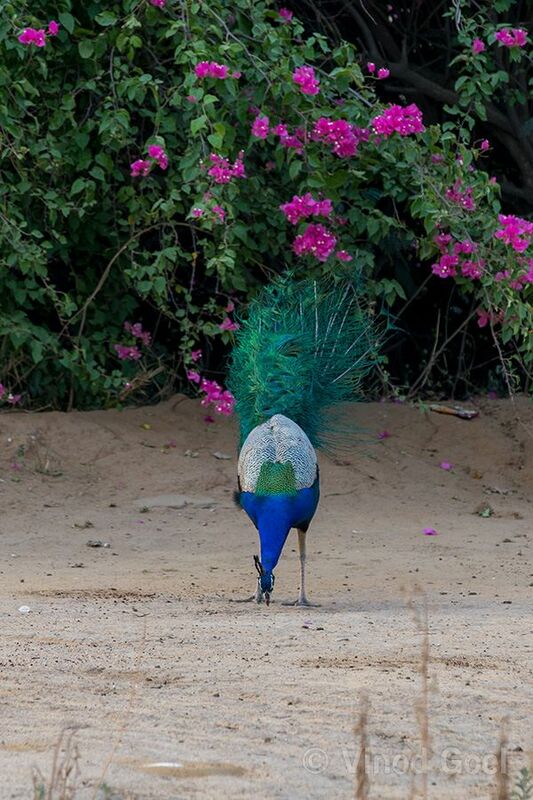 I visited on two consecutive mornings and loved the presence of the common birds including the Peacock, National Bird of India. I came to know that for the conservation and more important their protection some area has been earmarked and fenced . This was done by Sh Baldev S Dhillon, Vice Chancellor of P A U. My hats off to him for such a noble cause. 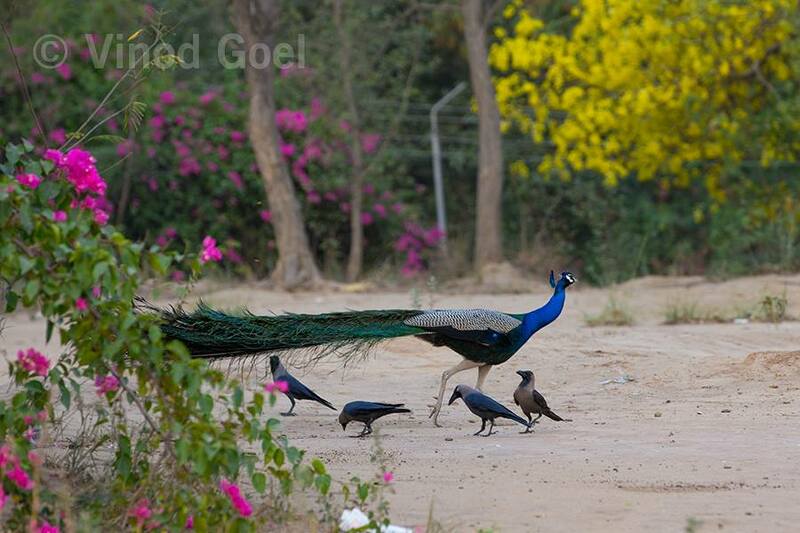 I was delighted to see a number of them including a dancing one and a peahen came to inspect whether he can be a good partner for having the next generation. Incidentally she did not approve and moved ahead. 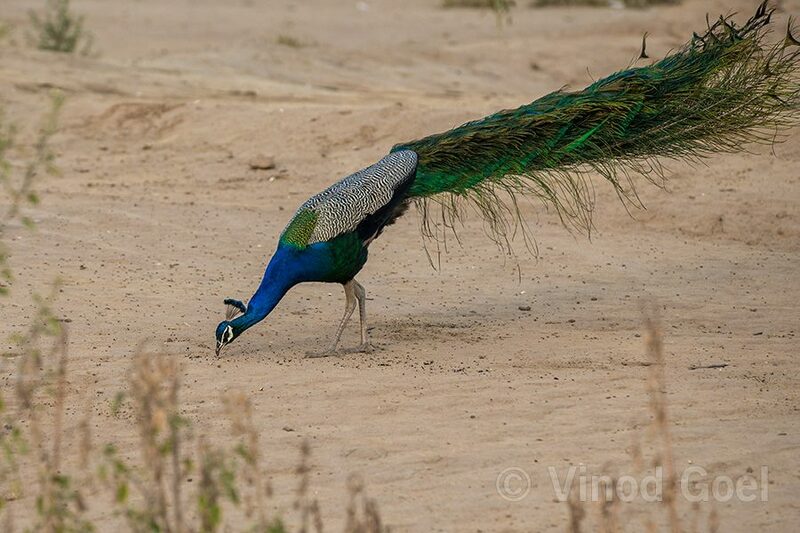 I also observed a peacock and a number of crows feeding on big ants (black ). 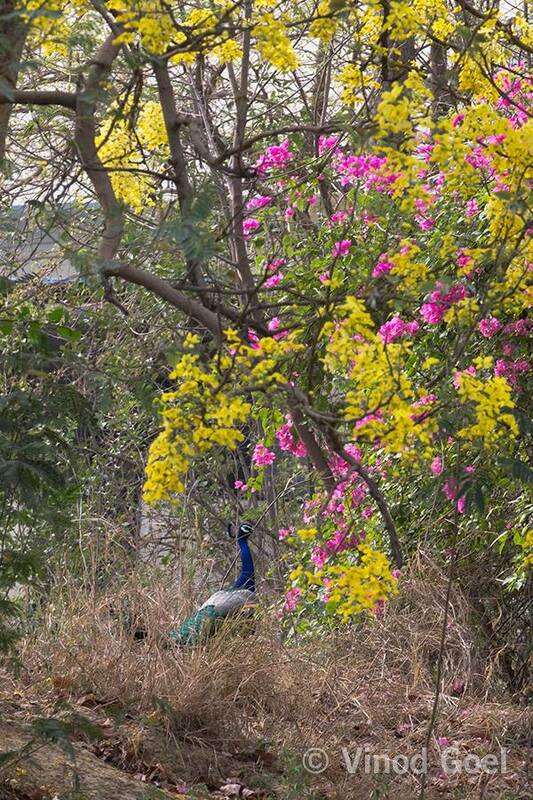 I also had a image where it was passing near the Amaltas tree blooming with yellow /golden flowers. 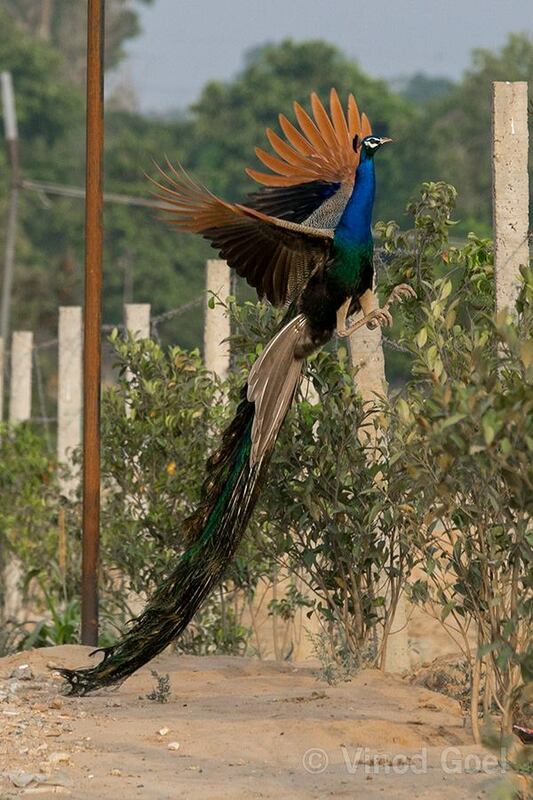 I am told that this is the best place to see peacocks in the polluted industrial city as it has a good green cover. In the morning people who are interested in having pure air and are interested in listening to the natural music of the birds do visit this place after observing some formalities . Images taken at Ludhiana on 30th and 31st May 2018.